﻿Welcome to ARK Ecological NGO! ARK is developing infrastructure for sustainable ecotourism in Southern Armenia. ​Our services include hiking, camping, organic farming, fitness & volunteerism. ﻿﻿Based in Kapan, in the Syunik region of southern Armenia, ARK is a registered non-profit NGO dedicated to promoting sustainable development and implementing solutions that provide social, economic and environmental benefits to the region as a whole. We believe that responsible ecotourism can be a catalyst for a sustainable economy in rural communities while also preserving and fostering appreciation of the natural landscape that surrounds them. ARK is working hard to build the necessary infrastructure that will promote Kapan as a unique destination for ecotourists and volunteers! CHECK OUT OUR SUCCESSFUL CROWDFUNDING CAMPAIGN! Fill in your information below to get the latest news, blog posts, updates and activities from ARK Armenia! ​Be Part of the Change! If you would like to volunteer or think you can help us, please contact us via our Workaway or WWOOF profiles. 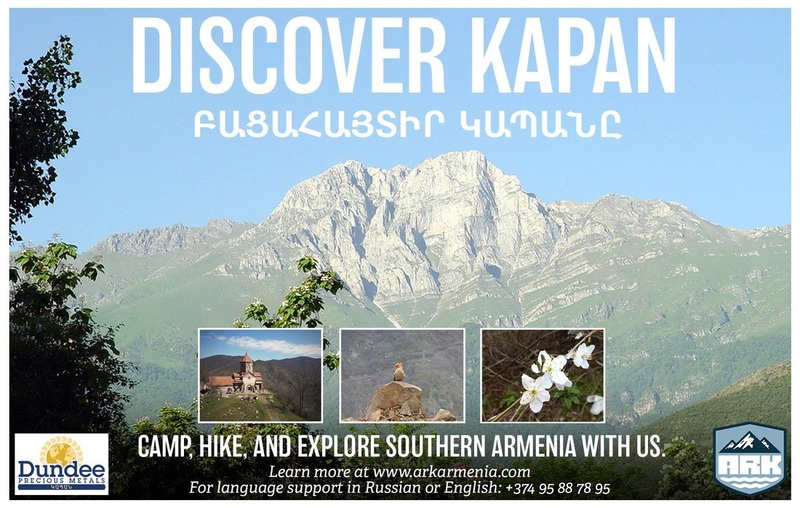 We are also partners with Birthright Armenia and Armenian Volunteer Corps. We're happy to hear from you on social media. ​Connect with us on Facebook, Instagram and YouTube!